The first versions of the dynamic new Tiguan SUV today open for order at Volkswagen UK Retailers nationwide. Designed and engineered to redefine the compact SUV segment new Tiguan introduces class-leading levels of interior space, practicality and safety while also debuting cutting-edge technology and connectivity. New from the ground up, today’s Tiguan brings previously unseen levels of quality and refinement to its sector with a premium look and feel that belie its price. 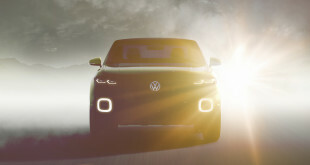 The first new Volkswagen SUV to sit on the innovative and flexible MQB platform – which also underpins the class-leading Volkswagen Golf – the new car signals the start of a comprehensive SUV offensive which will see the brand represented in all core SUV segments over time. 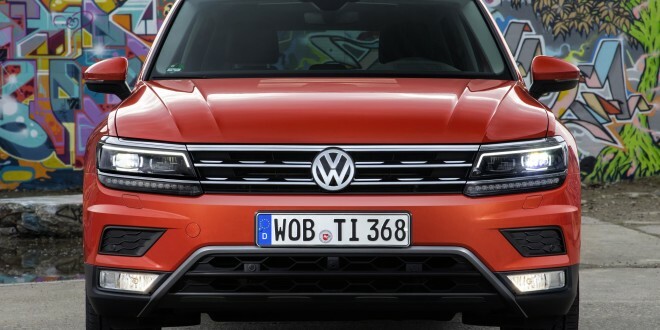 By virtue of its cutting edge MQB underpinnings the new Tiguan debuts exceptional levels of safety and connectivity. Standard from entry will be a raft of valuable safety features such as Front Assist; City Emergency Braking and Pedestrian Monitoring, while hi-tech features available for the first time in a Tiguan include Active Info Display; Head-Up Display; Area View and Trailer Assist. Perfectly proportioned, and shaped to develop the character of the original best-selling Tiguan, the new car balances clean lines with a powerful, dynamic stance. With a 33 mm reduction in height versus the outgoing car to 1,632 mm, and a 30 mm growth in width to 1,839 mm, new Tiguan exhibits an even more sleek, confident shape. At 4,486 mm in length it is also 60 mm longer than its predecessor. The wheelbase has been significantly extended to 2,681 mm – a gain of 77 mm. At the front, in particular, the unit formed by the radiator grille and optional LED projection headlights reinforces the car’s powerful impression and upright stance. 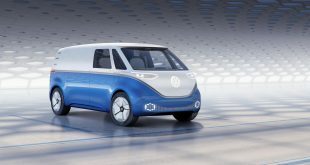 At the sides the waist and character lines as well as the eye-catching wheel arches attest to the creativity of the designers, led by Volkswagen Head of Design Klaus Bischoff. Meanwhile the Tiguan’s character line helps to define a rear section boasting clear edges and horizontally aligned surfaces. The SUV design language is taken up consistently inside new Tiguan, too. The cockpit, for example, is now aligned towards the driver for better comfort and without constricting the airy impression of the interior. At the same time, the wider centre console typical of SUVs is paired with the new 4MOTION Active Control rotary switch to create a defining interior element with a premium feel. Ambient lighting generates a sophisticated overall impression, completed by the optional panoramic roof – standard from SEL trim upwards – and details such as the elegant door handles and smart trim strips. This generously-proportioned interior offers more head room and knee room than previously – up by 29 mm in the case of knee room – and when the rear bench is folded the cargo space, at 1,655 litres, is 145 litres larger than before. Meanwhile a lower load sill improves ease of use and underscores the Tiguan’s everyday utility, while an optimised body structure and improved aerodynamics add to occupant comfort via reduced cabin noise. The car also offers a sliding rear bench seat that has been optimised to permit up to 180 mm of adjustment – 20 mm more than in the previous model. When the rear bench is slid forwards, the boot provides 615 litres of space – a gain of 145 litres. Highlighting the new Volkswagen’s practicality is a towing capacity of up to 2,500 kg (depending on model and drivetrain) which is unique in this class of compact SUVs. The extended engine range of the new Tiguan gives customers the greatest possible range of choices for power, style and comfort. A broad line-up has been created to appeal to the widest possible customer base. In the UK the car will over time be offered with up to three new petrol engines, with power outputs from 125 PS to 180 PS, and four new diesel engines ranging from 115 PS to 240 PS. All EU6-compliant, they are more powerful and more fuel-efficient than the comparable EU5 engines of the previous model. The diesel engines feature SCR catalytic converter technology, using the now familiar AdBlue additive. As order books open, the high-volume diesel will be available as a 2.0 TDI 150 PS with 4MOTION all-wheel drive and a seven-speed dual clutch gearbox (DSG) or six-speed manual transmission; or with front-wheel drive and a manual gearbox. 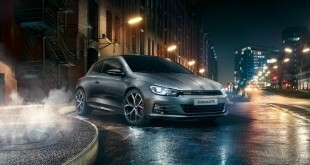 In addition the 2.0 TSI with 180 PS, 4MOTION and DSG is also on offer from today. These engines are expected to account for around three quarters of UK Tiguan sales. Extended engine, drive and gearbox options will be available in two further order waves which open in the UK on 5 May and 2 June. The first wave of engines in the UK offer 0-62 mph times of between 7.7 seconds (2.0 TSI 180 PS) to 9.3 seconds (2.0 TDI 150 PS), with top speeds, where legal, ranging from 129 mph to 124 mph. For the first wave of engines, CO2 emissions* are calculated at between 125 g/km (2.0 TDI 150 PS front-wheel drive with six-speed manual gearbox), to 170 g/km (2.0 TSI 180 PS 4MOTION with seven-speed DSG). Fuel economy* for the launch engines, on the official EU combined cycle, ranges from 58.9 mpg (2.0 TDI 150 PS front wheel drive six-speed manual) to 38.2mpg (2.0 TSI 180 PS 4MOTION with seven-speed DSG). New Tiguan sets standards when it comes to safety, with a raft of active and passive safety measures delivered by virtue of the use of the MQB platform. Front Assist with City Emergency Braking and Pedestrian Monitoring; active bonnet; automatic post-collision braking and Lane Assist are fitted as standard (in Europe). The first active bonnet on a Volkswagen reduces the risk of injury to pedestrians and cyclists by lifting upward in the event of an impact – rising 50 mm within 22 milliseconds of an impact. The safety equipment roster also includes a network of seven airbags – including a knee airbag on the driver’s side. It sets standards, and not only for A-SUVs. The new Tiguan, like all Volkswagen cars based on the MQB platform, also comes with the automatic post-collision braking system which helps to avoid dangerous secondary collisions. In the UK, the new Tiguan instantly becomes one of the five key pillars of the Volkswagen passenger cars brand sitting alongside up!, Polo, Golf and Passat. Indeed, last year the outgoing Tiguan accounted for 21,889 sales here – up from 8,121 just four years before. Tiguan is now the third best-seller in the UK, bettered only by Golf and Polo. The UK range will be badged using Volkswagen’s familiar S, SE, SE Navigation, SEL and R-Line designations, with diesel engines expected to account for around 95% of sales. 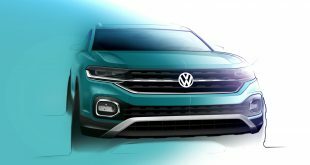 Welcoming the arrival of new Tiguan Rod McLeod, Head of Marketing at Volkswagen UK, said: “This exceptional new car showcases the very best of what Volkswagen can deliver. Ingenious engineering, exceptional practicality and fine styling sit alongside class-leading safety in a package that brings a premium look and feel to the compact SUV class.